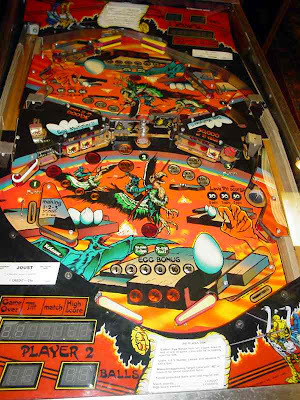 The idea behind PinballBox is to develope a whole serie of games dedicated to our beloved hobby: pinball! And because I want this box to put pandora's one to shame, all games come with an editor, so everyone can have their own take on the pinball makery. I know, i know... there are already options to create virtual pinballs. But!, that I know, there aren't multiplatform ones, and in this mobile world that we live, THAT is a big NOPE. So that's PinballBox mission: to bring an easy-to-use editor and well simulated pinball game to a multiplatform enviroment, so you can design pinball while sitting on the toilet, if that's your thing. So, get the game, or watch the video, and hey, say something! THEY TOOK OUR PINBALL MACHINE! - The tshirt. To develope games cost money, even if you do it yourself, because damn I need to eat too. So, in order to fund the first leg of this journey I came up with the idea of designing a tshirt, a pinball tshirt for pinball lovers. Who here likes Medieval Madness? yeah, me too. So this is the deal, if I get to complete the goal of 50 tshirts I'll be able to work full time on PinballBox for over a month, what about that?? And even if you don't give a damn about these pesky virtual pinball videogames, it's a handsome tshirt isn't it? You have no idea how much I thank you! Itch.IO is a wonderful site. Nice choice going with that one instead of Steam or whatnot. Anyway, so this is both a design tool and a game engine? What physics are you using? Does it feature AI, so you can play against the computer? I'd love to know what you guys think about this and how to improve the project. I also highly recommend looking at Nintendo's Rock 'n Ball H2H PB game. It takes a simpler approach than the real-life machines above, but has lots of good ideas and features. Yes, this is a game and a design tool. It would be much easier for me just do the game, but that would be pretty limited to what I can come up with... this way its open to anyone to design the tables. For now, the way it works is: I provide a blank table, in this first version that woody pinball, and you put in there the available parts to make your custom table. I think it feels pretty good! and it offer a lot of settings options... which by the way, in next versions will be open to be edited by the user, so you can tweak the mass of the ball, friction, force and speed of the flippers, etc. No AI right now, it's just for 2 players and local in the same device. No plans so far for a head-to-head pinball with an AI opponent. 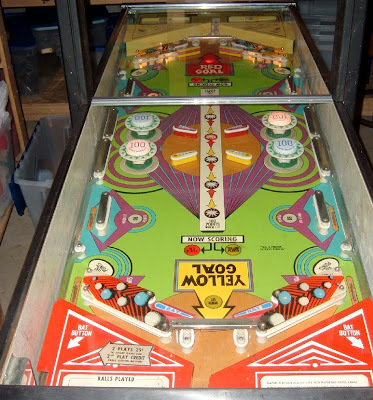 What I plan on doing however is other types of pinball for one player, like bingo and regular pinballs. Yeah I've been looking for real world tables examples, and that's the evolution of this game. In the next update (coming in a week or so), you'll get a new table and pop bumpers, and after that the next step is to make targets and tie all together with a logic system to... say, you have to hit targets to activate popbumpers or a second set of flippers. Thanks for your comment and pictures, and that Nes pinball game looks pretty interesting, will take a good look at it.